In project management, just as in life, there are many things which are learned through experience rather than from a book. 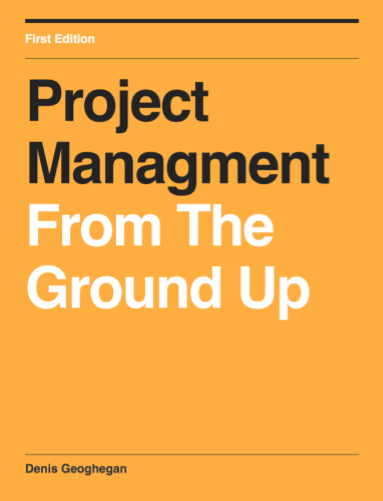 Often some of the best project managers seem to have, what appears to outside observers, to be simply a knack of delivering projects successfully. In practice, you’ll usually find that these project managers have learned through experience how to avoid the common pitfalls less experienced project managers often make. Ten of these pitfalls are listed below. Why do we avoid difficult conversations? Um, because they’re difficult. It’s tempting to fall into the trap of thinking that we’re communicating effectively simply because we are continually pinging our teams and spending loads of time going back and forth in Slack. Identify when a difficult conversation needs to happen. Advocate for the use of an official communications plan that will help you navigate murky waters. Develop skills to facilitate difficult conversations when they need to happen. There are so many different things to juggle as a project manager. It can be challenging to sort out what kinds of tasks, tools, features, conversations (etc.) are actually must-haves. Make it a daily practice to spend time figuring out the difference between the things that you must have for success and the things that are simply “cool ideas” or nice to have. When you know your priorities and communicate them to the team, you help them stay focused on the things that will make the most significant impact. It’s funny—no matter how much we plan, it seems that our project never really go according to plan. In fact, many of us create a project plan only to abandon it as we go along, letting it sit lonely in a folder while our project takes on a life of its own. I find that many agencies are focused on being able to change quickly in their fast-paced and dynamic environments. Change is good, but if you’re too keen on mixing things up just for the sake of, well, mixing things up, you’re making it hard to create efficiency, expertise, and an all-around sense of stability that gives your team legs to stand on. Make sure you’re documenting change effectively by using project controls. Yes, it takes time and effort, but controlling your projects well by following consistent processes will help you stay aligned as things change. Even if you have limited time, you can use pre-made processes by using templates available in workflow software, many of which offer the ability to automate tasks such as drawing up reports. It’s rare to find a client who will tell you that you’re communicating too much. In general, clients are happy to know where the project is at, along with information about potential risks, new options, test results, etc. You’ll be wise to upgrade from your confusing web of emails and forwards by switching to a project management platform that can provide a built-in portal for clients to sign in, look at project data, give approvals, and view reports. This is a tough issue. How can you accurately predict how many issues or bugs Quality Assurance (QA) will raise and how long each one will take to fix? The good news is that you don’t have to know the answer. However, you do have to account for it when you give estimates and establish project budgets. Make sure you’re factoring in QA by adding contingency to your budget. The best way to do this is by speaking to the QA team and getting them to review your estimate. Whether you’re doing QA at the end of your project or think it’s better to involve QA from the beginning, you should at the very least have a conversation with the QA team committing to an estimate. There’s a reason that user-centric and human-centric design has grown in popularity over recent years. In the digital world, we need to not only consider the needs of the client and our agency, but also the needs of the users will be interacting with the end product. Sometimes, there’s pressure from clients to skip over user-testing. It can be hard to see why you would need to test a feature when the client is already sure about what they want. But because you want to get users testing the product as early as possible to produce something that truly works, your job is to educate the client on the benefits of user testing. Explain the positive impact of testing as well as the negative impact of not testing. We all like to say yes. It’s fun to say yes to new ideas, and it’s hard to turn things down. Sometimes we don’t even realize that we’re taking on a new request without interrogating it properly. Do yourself a favor, and don’t accept new requests until you’ve examined how they affect the scope, how they might lead to duplicate work or building an unnecessary feature that doesn’t align with the overall project goals. Review new requests with your team, and discuss the impact of incorporating it, whether you’re already doing it to some degree in a different deliverable, and how it will affect end users. There are far too many great tools for tracking resources to be making excuses for not knowing where the budget stands. Often, the budget is already decided once the project falls into the hands of the project manager. It’s up to you to make sure you track the hours and spend so you can keep the client informed about the budget. It can take a little bit of work to set up, but it’s worth setting up your tracking so that you can set parameters for each resource on the project. Many tools will let you set limits for tasks as well, so you can see when a task is getting close to bringing your project over budget. Dwight D. Eisenhower made a famous distinction between urgent and important tasks, saying that “what is urgent is seldom important and what is important is rarely urgent”. Especially in digital projects, the atmosphere of delivering quickly can lead us to rush, to take on new tasks without thinking, and to spend a lot of time on urgent, unexpected things like phone calls, notifications, and emails. One of the best things you can do for your project is to prioritize tasks according to urgency and importance to make sure that you’re still making time for the things that have a high-level, long-term positive impact on your goals. There’s a difference between micromanaging (which isn’t good) and making sure you’re sweating the small stuff, which can be beneficial. When I say sweating the small stuff, I’m talking about those little problems that come up that feel harmless—you don’t do anything about them, letting things slide until they become big, glaring issues that we have no choice but to address. It’s wishful thinking that a small problem will just sort of “go away” on its own. They rarely do. It’s far more common to see the problem continuing to build momentum, causing stress, confusion, and added costs because of the extra backtracking you need to do to get to the root of the problem. Part of developing as a project manager is making sure you’re training yourself to be on the lookout for red flags. Keep working on developing skills in identifying small problems and proactively course-correcting along the way, and your teams and clients will thank you! Hi. I’m Ben Aston, a digital project manager and founder of The Digital Project Manager, the largest online resource for digital project managers. I’ve been in the industry for over 10 years at top digital agencies including Dare, Wunderman, Lowe, and DDB. I’ve delivered everything from video virals to CMS, flash games, banner ads, eCRM and eCommerce sites across automotive, utility, FMCG, and consumer electronics brands.